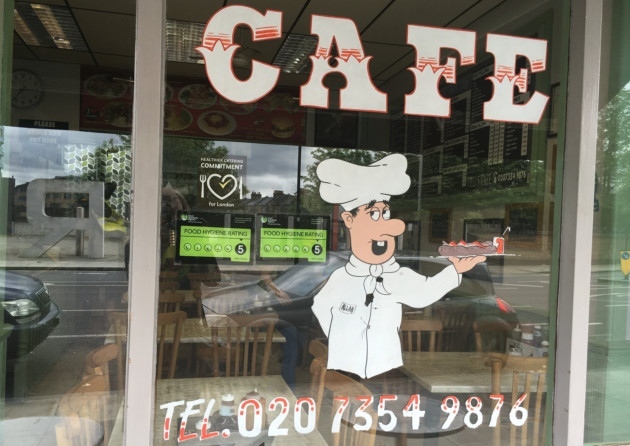 A café located in Drayton Park, Highbury has been fined a hefty £2,500 after telling lies on their FSA food hygiene rating display. As reported by the Islington Gazette, Veli’s Café was displaying a food rating of 5 out of 5, (the highest rating, meaning the hygiene level is ‘very good’) when the café was actually awarded a rating of 1 out of 5 in July 2015, which then rose to 3 out of 5. The discovery of the false certificates came after Islington Council’s trading standards officers visited the café in June last year, inspecting the café after previous reports of false advertising. The café is located close to The Emirates football stadium, and is a great pit-stop for football fans on match days to enjoy an English breakfast or a lunch; the café offers a “very nice chicken/lamb shish kebab with all the trimmings”, according to a Yelp review of Veli’s. Said to be busy on match days, close by to the local pub the Drayton Arms, the cafe displayed the fake rating to a mass of customers for over a year. Traders of the popular café Kinal Ltd was fined £1,500 at Highbury Magistrates’ Court last Thursday, 9th March, being found guilty of two offences and ordered to pay costs of £896 and a victim surcharge of £75, the total mounting to almost £2500, as reported by the Islington Gazette. The Food Hygiene Rating Scheme operates in England, Wales and Northern Ireland, in a bid to encourage improvements in food safety and hygiene in food and drink establishments where necessary. If an establishment is awarded a high rating, it also provides advertising, trust and peace-of-mind for customers, potentially boosting business. The display of the awarded rating isn’t compulsory in England, however in Wales and Northern Ireland, a recent legalisation means the rating must be clear to customers. It’s said the legalisation may expand to food establishments in England soon.